Last week, we talked about the galleries at Disney’s Hollywood Studios and what they meant to the park and guest experiences. Today, we’re looking at another gallery that is so far off the beaten path, that I’m fairly certain it is hardly ever appreciated for the jewel that it is. For this exploration, we’re venturing back to my old stomping grounds of Fort Wilderness. In the Settlement area, most notably known Hoop-Dee-Doo Musical Revue, Lawnmower Tree, and access to Bay Lake, guests can also find the Tri-Circle-D Ranch. Here, younger guests can take pony rides and there are various stations where guests can feed the animals. In the distance, you can see a large stable, but most guests are content with the smaller farm creatures and don’t let their curiosity get the best of them. 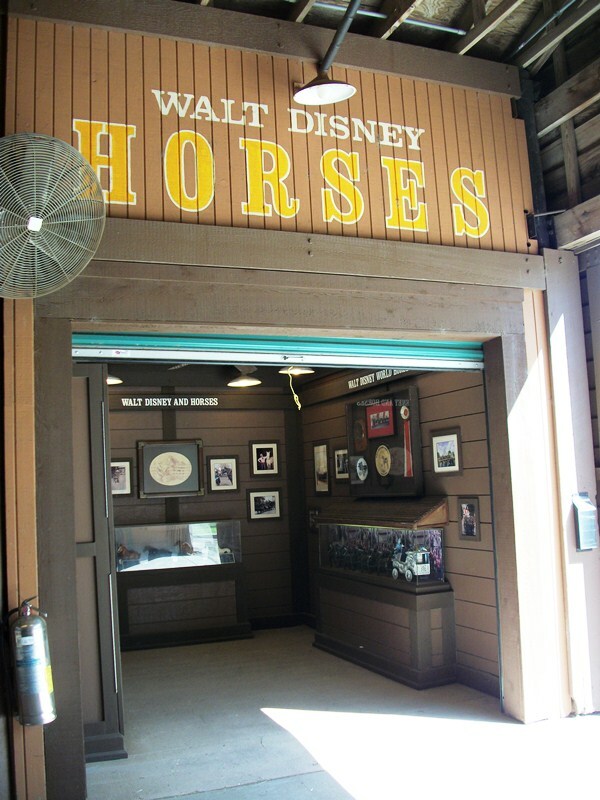 But they should, because in this stable there is a wonderful exhibit showcasing the world of Disney and where it intersects with horses. 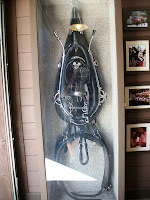 The small exhibit, named Walt Disney Horses, features an array of photographs, ribbons and equine equipment. One wall is dedicated to the combination of Walt Disney with horses, from driving a stagecoach to sitting up tall and proud, enjoying one of his favorite pastimes, polo. Walt can be seen caring for the creatures and feeding them. The remainder of the gallery is left to display the horses of Walt Disney World and their various roles. Horses can be seen pulling stagecoaches at Fort Wilderness, trolleys on Main Street, U.S.A., and Cinderella’s carriage to the Wedding Pavilion. They chauffeur princes and knights, samurai, and the occasional Headless Horsemen. However, as we discussed early, some of their most precious passenger are the children they are able to provide rides to. And these aren’t just any horses either, oh, no! 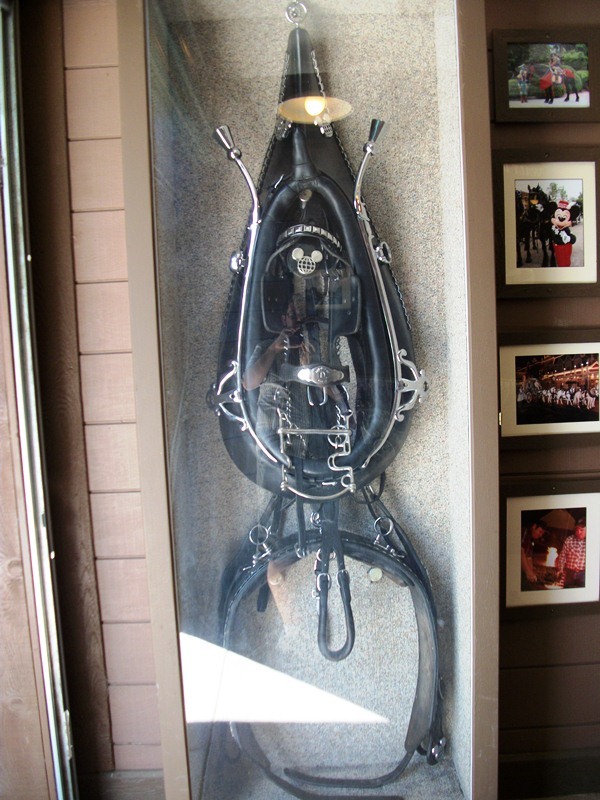 These are gifted horses who have won a bevy of awards, a sample of which can also be seen here along with a Walt Disney World harness and a model of horses pulling the Walt Disney World dragon calliope (but that’s a story for another time). You may be thinking to yourself why you would want to waste time looking at photographs of horses. For starters, no other animal is more integral to the Walt Disney World experience. In fact, they’re so much a part of the history of the name Disney, that there is even a resort dedicated to them! And while the gallery may just look like a bunch of pictures, there are any number of stories that the Cast Members here can entertain you with, if you only take the time to look and ask. Plus, you just might get to see one of these incredibly beautiful horses up close, and that is a sight that will take your breath away. I can’t twist anyone’s arms and make them explore this wonderful showcase, but I hope you take time to venture off the beaten path and take away something entirely new from your trip to Walt Disney World.